Utility patents are the most common type of patent. They are issued for new and useful processes, machines, manufactured articles, or chemical compositions. Most U.S. Patents are utility patents. Generally 90% of the patents issued are utility patents. Utility patents are used to protect the way an item is used and the way it works. Design patents are used to protect the onamental apearance of an article, i.e. how it looks. An item may receive both a utility and a design patent. 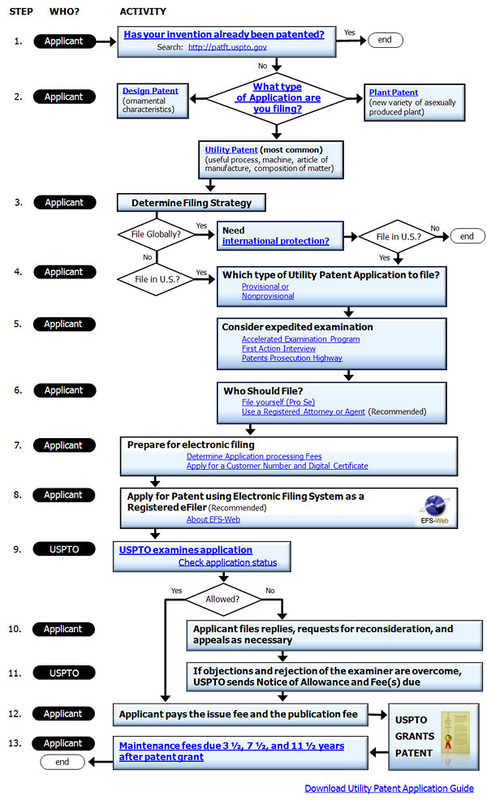 See also How to File a Utility Patent Application and the USPTO's A Guide to Filing A Non-Provisional (Utility) Patent Application.